« Updates for weapons and zombies. This week’s work on Zombox was sporadic and mostly behind-the-scenes. -weapons can now damage the environment. Got a hammer? Smash down a wall. Got an axe? Chop down a street light. 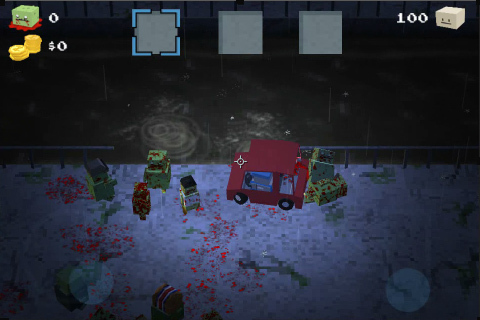 -objects and enemies can be pushed in the water now. They’ll splash and drown but so can the player so you shouldn’t go too close to the edge! Here’s a gif showing the splashing in action. Here’s a gif showing the pathfinding in action. Here’s a gif showing the environment destruction in action.